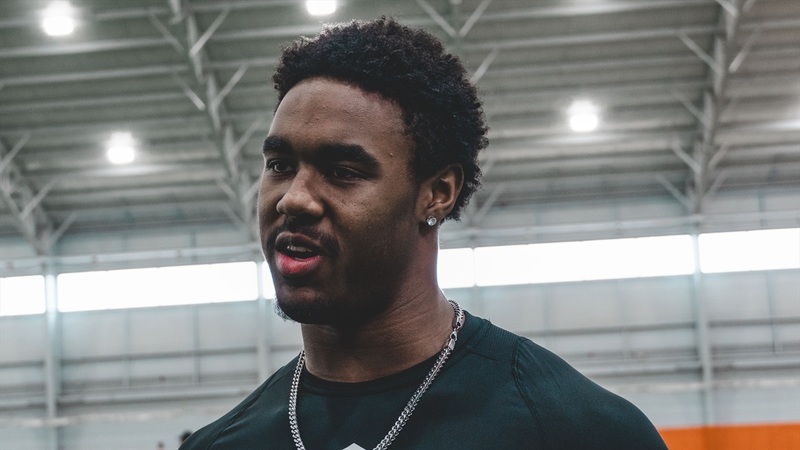 2021 West Bloomfield (Mich.) running back Donovan Edwards‍ could end up being one of the best players in the Midwest when it’s all said and done. The 5-foot-11, 193-pounder visited Notre Dame in January after adding an offer in December and enjoyed his time in South Bend. Edwards was recently at Wisconsin with a few of his teammates and the Badgers definitely have his attention following the trip. The chance to get the rock a ton over his career is something Wisconsin pounded home and it was well received by the West Bloomfield star. New Notre Dame running backs coach Lance Taylor was hired the day after Edwards visited South Bend, but head coach Brian Kelly made a significant impression. “I spoke with Coach Kelly and the offensive coordinator Chip Long,” said Edwards. As for now, Edwards will get out to a few more schools this spring and hopes to return to Notre Dame in the near future.